You are here: Home » Blog » Beauty » Coconut Oil For Hair: Good or Bad? I’ve been a fan of coconut oil for a really long time. It is a highly nourishing oil with hundreds of uses, and lately I’ve run across many sources touting the benefits of coconut oil for hair. It can certainly be beneficial for certain hair types when used correctly, but many sources recommend using it in ways that may do more harm than good. Coconut oil is the richest natural source of medium chain fatty acids (MCFAs), special types of fatty acid with antibacterial and antimicrobial properties that are very nourishing to the body. It is especially high in the C12 chain of MCFAs known as Lauric Acid. 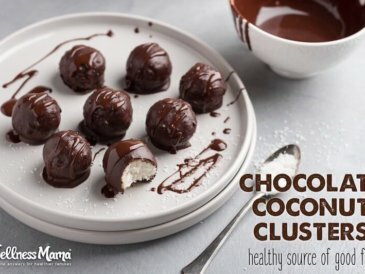 Lauric acid is naturally occurring in breastmilk as well and is supportive of hormone health and cellular health. This beneficial property of coconut oil is also one of the reasons it can help prevent protein loss in hair (for some people). 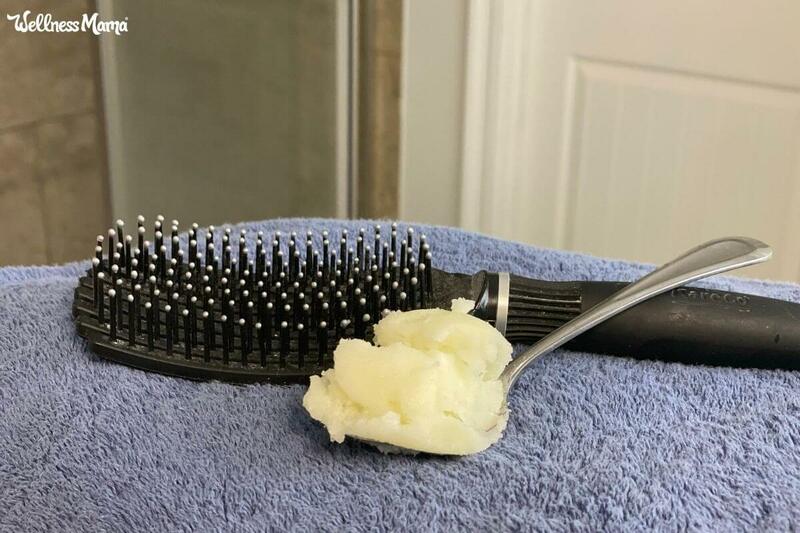 Coconut oil’s structure allows it to penetrate hair in ways that other oils are not able to, which is why some people notice amazing results relatively quickly when using coconut oil for hair. The idea of putting oil directly in the hair can seem counterintuitive, especially to anyone with naturally oily hair. Nourishing hair oil treatments have been used for thousands of years, though these use a certain ratio of beneficial oils (and I add honey and magnesium) and these are not used as an everyday product. 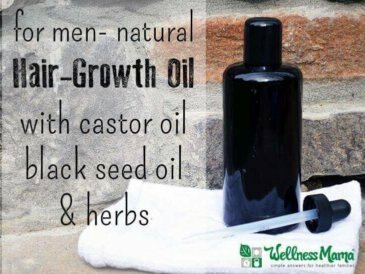 There is no doubt that certain oils can be beneficial to hair and that many of us strip out beneficial oils from over-shampooing, leading the body to increase natural oil production to compensate. 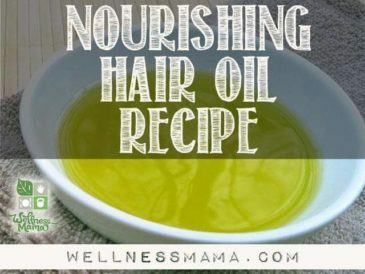 Due to over-shampooing and poor diet, many of us are also missing vital nutrients we need to build healthy hair in the first place, but is adding oil to the hair the solution? Certain oils do seem to be pretty much universally beneficial for hair, but coconut oil isn’t always one of them. 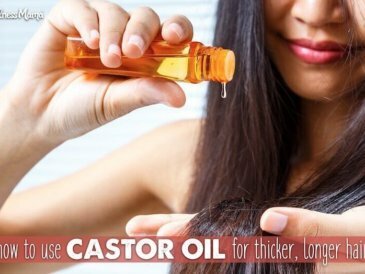 For instance, Castor oil is an age-old beauty secret for increasing hair growth. I use it on my hair and eyelashes and have seen amazing results, and hundreds of commenters have had a similar experience. Coconut oil, on the other hand, gets mixed results. Some people report immediately healthier and smoother hair, while others claim that their hair fell out by the handfull after using it. So what is the reason for the discrepancy and how can a person know if coconut oil is going to be beneficial or cause hair loss? Not surprisingly, different types of hair respond to oils differently and coconut oil won’t work for every hair type. Because it helps the hair retain its natural protein, it can be helpful for those who lack enough natural protein in hair follicles. Studies have even confirmed coconut oil’s benefits for certain types of hair, but it isn’t for everyone! It should go without saying, but anyone with an allergy or reaction to coconuts or coconut oil should not use these products in hair either, no matter what hair type. When it comes to using coconut oil for hair, the amount used also matters. You’ve probably heard the saying “too much of a good thing,” and this absolutely applies when it comes to using coconut oil in hair. Just as with supplements, if a little bit is good, a lot isn’t necessarily better. Coconut oil seems most beneficial when used in small amounts to coat hair or reduce frizz and hair may not respond well to being coated in large amounts of coconut oil. For best results, try just rubbing a small amount of coconut oil between your hands to warm it up and then working through hair gently. 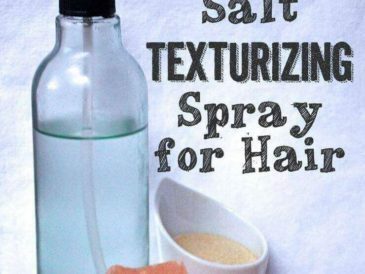 This should help tame frizz and make hair shiny without the negative effects. Coconut oil is often included in recipes for nourishing hair oils, hair masks and hair products and these uses might not necessarily be harmful. When combined with other oils and ingredients, not only is less coconut oil coming in contact with the hair, but the combinations of fatty acids can have different effects completely. For instance, coconut oil doesn’t seem to make hair dry or brittle when combined with the monounsaturated fatty acids from olive oil or when mixed with argan or marula oil (both great for hair). Honey also seems to make coconut oil even more beneficial for hair and the simple sugars in honey can nourish hair and make it naturally smooth and frizz free. Coconut oil may also not be the best choice to use on hair for those who use natural or homemade hair products. Homemade hair products (like my favorite mud shampoo), do not contain the chemical detergents and surfactants that many commercial shampoos and products do, making it difficult for them to remove excess oils from the hair, especially in large amounts. My mud shampoo leaves my hair soft and strong, but it isn’t the best at removing an all-over hair oil treatment (I stick to an organic store bough clarifying shampoo for this). Avoid the scalp: Though coconut oil seems to be beneficial for those who struggle with dandruff that has a fungal component, others may see negative effects from using coconut oil directly on the scalp. Coconut oil may clog pores and cause irritation for some scalp types (just as it does on certain skin types), and is best used directly on the hair and not the scalp (of those with the right type of hair). Start with small amounts: Again, more isn’t better. Especially until you know how your hair handles coconut oil, use a small amount and see how hair responds. For all the beneficial properties of coconut oil, hair doesn’t have the ability to digest or metabolize coconut oil like the digestive system does. 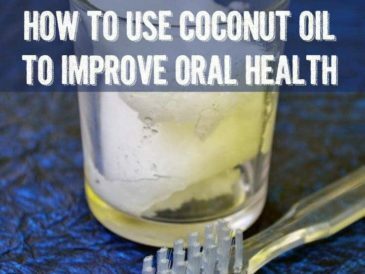 It can offer some benefit on a strictly chemical level, but you won’t be able to fully utilize the beneficial properties of coconut oil when it is used externally or in hair. For this reason, coconut oil may offer the most benefit to hair when consumed internally, as its high Medium Chain Fatty Acid content and antioxidants can help improve the rate of hair growth from the inside out. Hair health and growth begins internally, so the long-term solution to healthier, stronger and shinier hair includes addressing internal factors like diet, supplements and sleep. Just like the skin, hair is a reflection of internal health and can be largely controlled by hormones (one of the reasons women lose hair after pregnancy) so consider focusing on balancing hormones and nourishing the body to improve hair. Do you use coconut oil on your hair? What results have you experienced? Share below!